Holiday season is just around the corner, and we can all feel the excitement in the air! 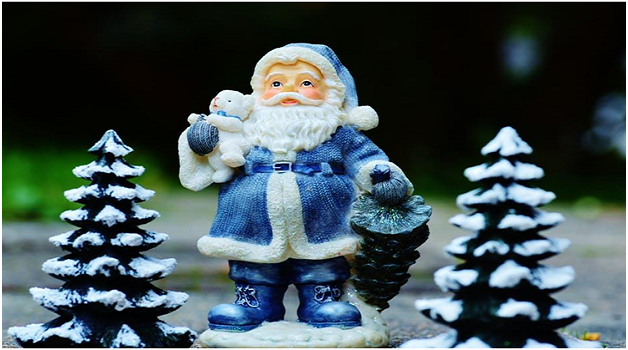 As we are back in the stores searching for some new stuff to wear and gift our loved ones on Christmas, all of us want to revamp our home and make it look more festive and fancy as well. With little additions and decorations, you can make your room look perfectly ready for the festive season! Just when the fall starts kicking in, the market is flooded with cute ornaments that are appropriate for the Christmas. Pick some of these up, preferably the ones with a hint of gold in them; they are very decorative. You can add them at various places in your room. From curtains to lamps, you can easily attach them and add a crisp addition to anything plain and ordinary! Of course, can Christmas be Christmas without a stunningly lit Christmas tree at the corner, gracing your room? There are trees available in the market in various sizes. Few people like the cute little ones on the bedside table or dressing table, but I like a big bold one as even if you don’t add anything else, a Christmas tree alone is enough for maintaining the Christmas vibe. 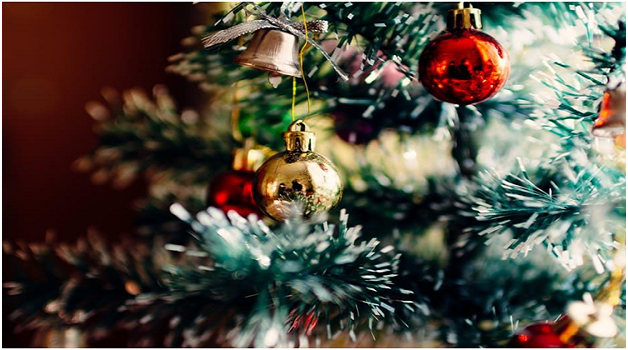 Decorate the tree using ornaments and colorful round ball hangings! There are multiple ways of doing that. But my personal favorite is getting some little toys of Christmas tree and Santa Clause. Decorate them on your side table or dressing table. You can put them under the lamp as the lamp light will give a very cute impact and also drive attention towards them. This decor idea is easy and is very cost-effective, but it will look like you spent a lot of effort and energy in doing that. You will be amazed by how something so tiny can give such an overwhelming impression. Fairy lights are the epitome of celebrations, and especially around the holiday season, you see them all around. The reason why they are my favorite way to decorate the room is that they can make anything look fancy. Even if your bed is plain wood without any carving, attaching some fairy lights with it will make it look festive and ideal for Christmas. 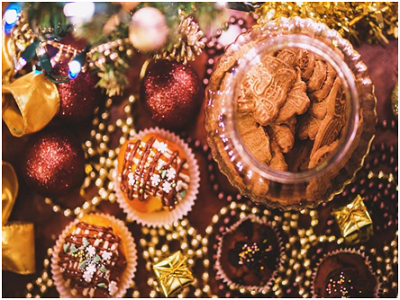 Christmas is incomplete unless you are not stuffing yourself with all those calories in the form of cookies and chocolates. Holiday sweets and deserts are mandatory. Hence they always have to be in your room. Use ribbon and glittery stickers to decorate the jars you have your treats in. This might look like a small addition, but it can make the coffee corner of your room look so creative and exquisite! Just implement these ideas before the Christmas arrives. Cherish and enjoy every moment till then! Also, if you want to get some nice comforters and bed sheets for decoration, visit mybedcomforter.com and enjoy having new bedding look of your room.